Over 20 World Class Technique Videos Presented UFC Veteran & Olympic Silver Medalist Matt Lindland! "Dirty Boxing" Series Also Included! Wrestling Takedowns For MMA will make a more well-rounded fighter by using common wrestling techniques that translate well into MMA. It will have fighters scoring more takedowns and defending against the toughest wrestlers. It will also use wrestling positions to open opponents up for strikes, submissions, and chokes. 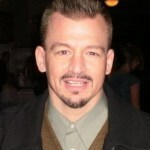 It will help fighters add another aspect to their stand up game and ground and pound. Get over 20 videos from 2 successful wrestlers, fighters, and coaches neutral defense, takedown against the cage, submissions, chokes, and dirty boxing. Before you go ahead and hit the "Add To Cart" button, I need to know that YOU’RE now totally comfortable and feeling secure. That’s why we’re putting 100% of the risk squarely on our shoulders. 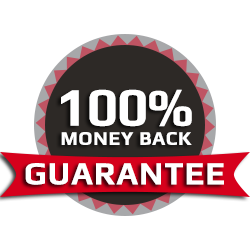 YOU can relax knowing that you are completely protected by our One Year 100% Money Back Guarantee. We’re not jerks. If you’re not happy we’ll make it right. If our product doesn’t deliver as promised let us know. You’ll get your money back on the spot and you can still keep the program. There’s no risk. It’s all on us. You can feel secure hitting the Add to Cart button knowing you’ full protected and we’re going to take good care of you! Everyone wants to achieve great things. Problem is many people just don’t know the most proven methods to tap their full potential. Coaches and wrestlers are often confused about what techniques and practice strategies to use. It is not their fault. It is hard not to become overwhelmed when you have “so-called” experts flooding the Internet with advice. Attack Style Wrestling wants to clear the smoke. We want to give you proven and clear training systems. Ones that wrestlers and coaches of any age or experience level can use. 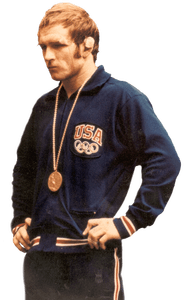 Coach Daryl Weber has taken what he learned, while winning a NCAA title under Dan Gable, and tailored it for youth and high school development. He was able to use this system to help his team win a record 9 consecutive state championships. 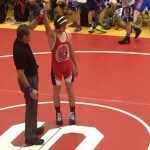 "I really like the opportunities Daryl Weber is providing wrestlers,coaches and parents in the great sport of wrestling. These in depth training resources reminds me of what I studied as an athlete and coach. One can enhance their wrestling knowledge and successes with these resources and some hard work." Thank you for all of your hard work and inspiration!!! Always know that you are doing an amazing job, with no expectation, and soon enough people will communicate just how much of an amazing impact you are making on their lives, teams and communities. You are a really wonderful person and teacher in this world. Although I am simply an individual who loves wrestling and not involved with a team like I was in school, you have helped guide and inspire me the entire time I have known of you and your teaching methods. Not only are you teaching wrestling but many other important fundamental elements as well. I wish I could just sit down and talk with you one time. Thank you for all of your hard work and inspiration!!! I bought your FS Greco series at the beginning of the season and taught my schoolboy son. Well, my son is now on his way to Schoolboy National Duals as I write this to you. It's funny, I never accomplished anything significant while I was a wrestler in high school, but what I'm passing along to the kids via ASW & Gable Trained is proving to be quite effective. Thanks for your work. I know you could be doing the college coaching thing for a whole lot more $ & accolades.